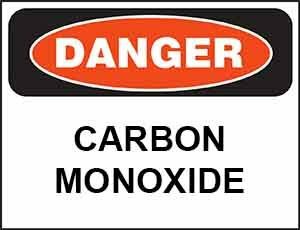 Carbon Monoxide Exposure was the primary target of an October 19th, 2016, OSHA investigation in which it issued citations for 4 willful and 9 serious violations to Poynette-based A&A Environmental Services Inc. These citations stemmed from an April 2016 incident, where five A&A employees fell ill, following their renovation of a New Glarus, Wisconsin nursing home. The determination was made that the illness was due to carbon monoxide exposure. The proposed penalty for these violations is $243,716. As a result of the carbon monoxide exposure and subsequent incident where the aforementioned employees fell ill, federal safety inspectors responded to the New Glarus renovation worksite and conducted an inspection of the premises. In addition to identifying a failure to properly monitor carbon monoxide exposure, the inspectors also uncovered asbestos and determined that a secondary danger of contamination was present. OSHA found that the workers were exposed to unsafe levels of asbestos and that the company was in violation of the control system to contain asbestos-rich areas. Asbestos and carbon-monoxide are a common threat in environmental management and renovation or repair of older facilities. One resource that safety leaders can utilize to avoid the contamination of a worksite or, worse, the possible illness or death of any member of their workforce, is an OSHA-approved training course like our OSHA 30 Hour General Industry Training Course Online.